There are many different people who own small companies that require the use of a truck driver, and by transporting their cargo and completing jobs these small companies will grow and bring in more work with different cargo. One of the first people to meet is lumberyard owner Sven, completing jobs for Sven will earn his trust and increase the size of his company resulting in new jobs with different sorts of cargo. Completing transportation jobs will not only earn the trust and respect of companies but it will also bring in more money. This extra cash can be used to purchase tons of different parts to allow players to customise the look and performance of their truck. Players will be able to unlock many types of skills, passives and rewards that provide useful bonuses such as the ability to drive longer without having to rest. 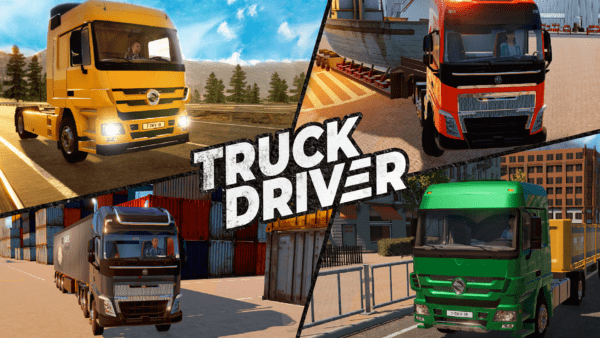 Truck Driver will be coming to Xbox One and PS4 in 2019.